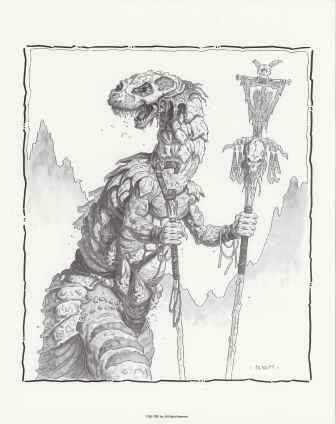 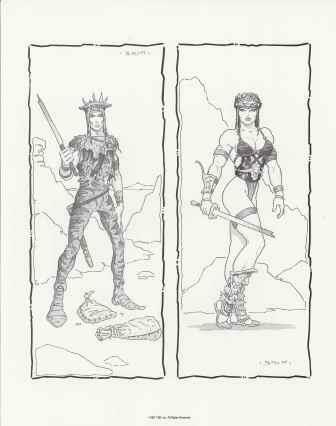 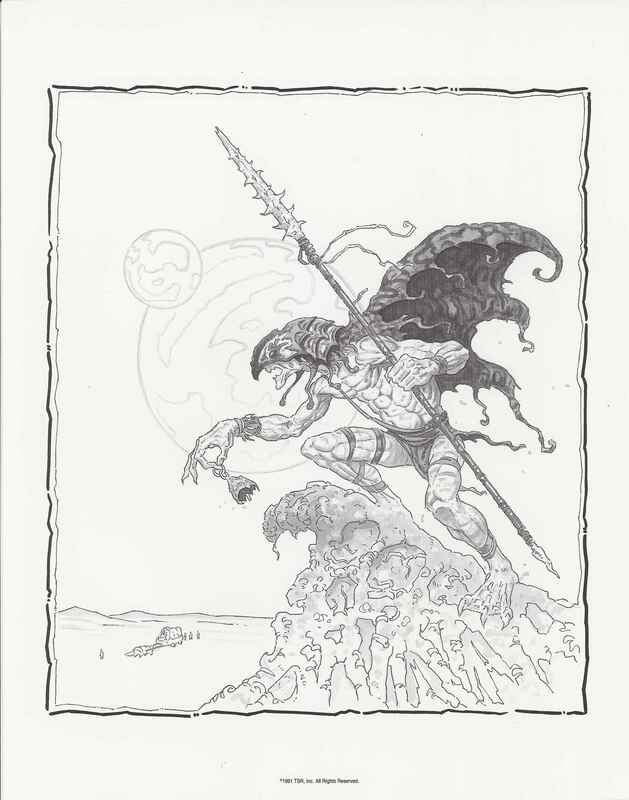 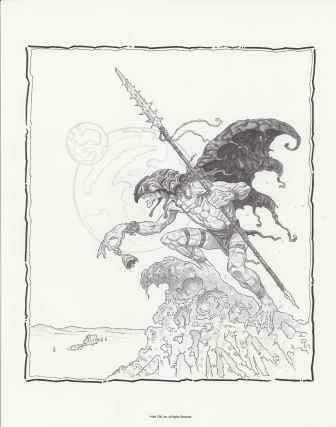 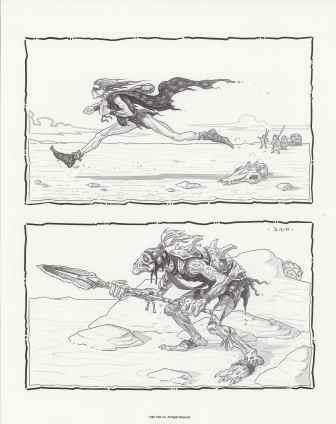 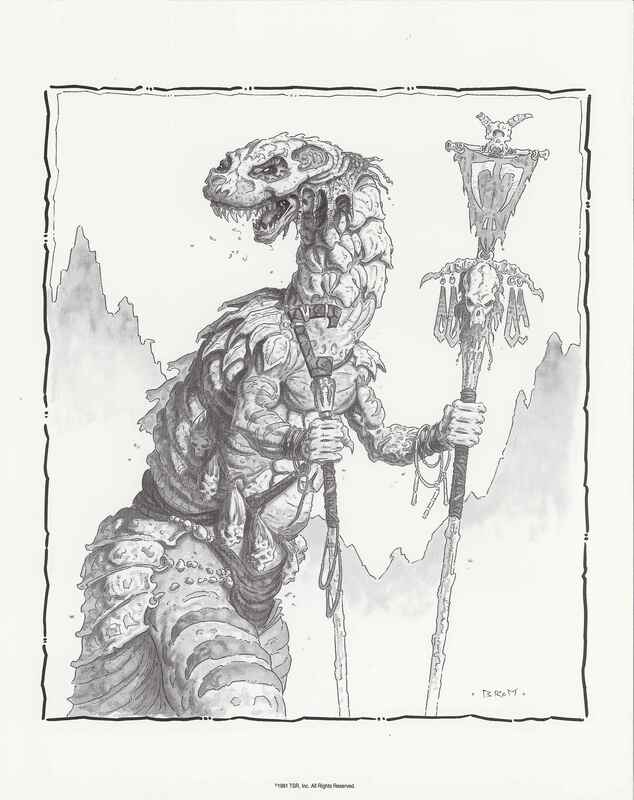 As a way to showcase the new Dark Sun setting TSR mailed out a set of Brom art prints to game stores in the early 90's. 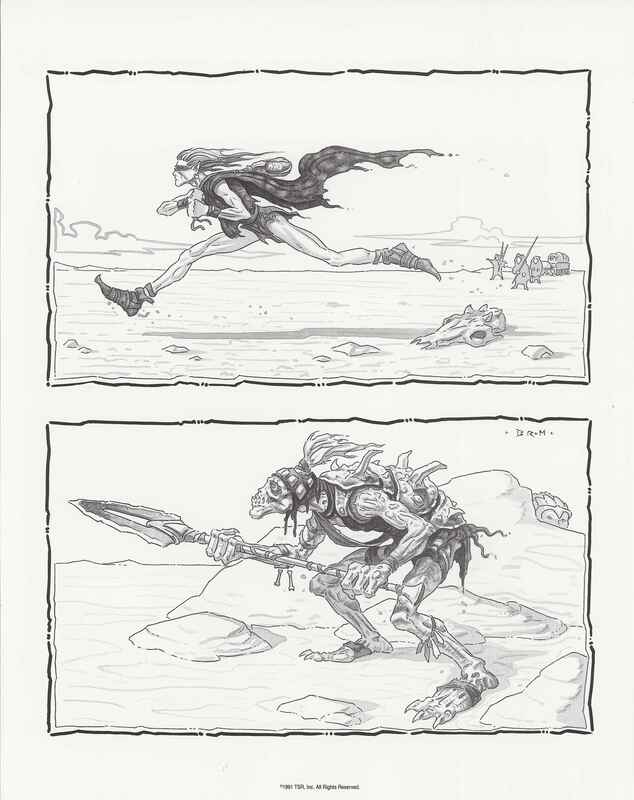 The prints came in a white envelope with the Dark Sun logo in black and white on the top left of the envelope. Inside were seven art prints each measuring 28 x 35.5 cm. 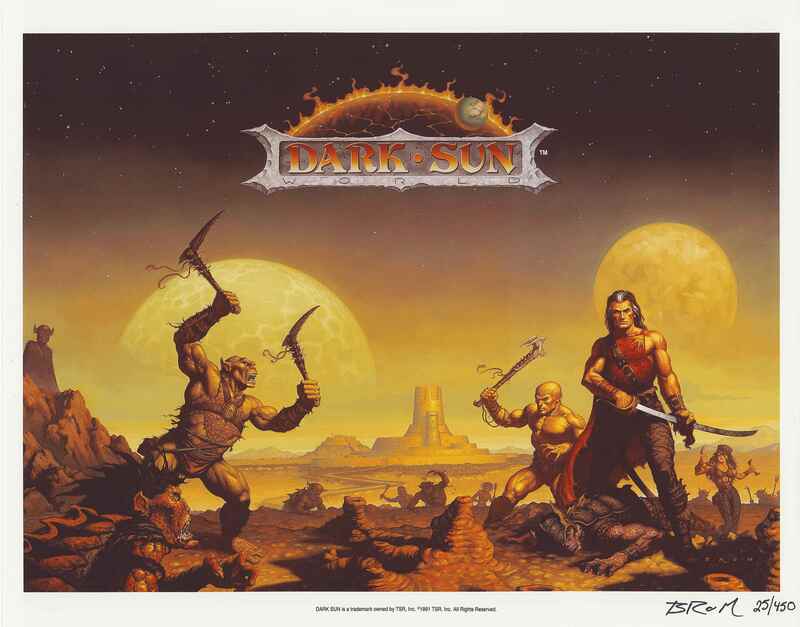 The classic Dark Sun image that was on the original Dark Sun boxed set is the only full color print, the other six and black & white. 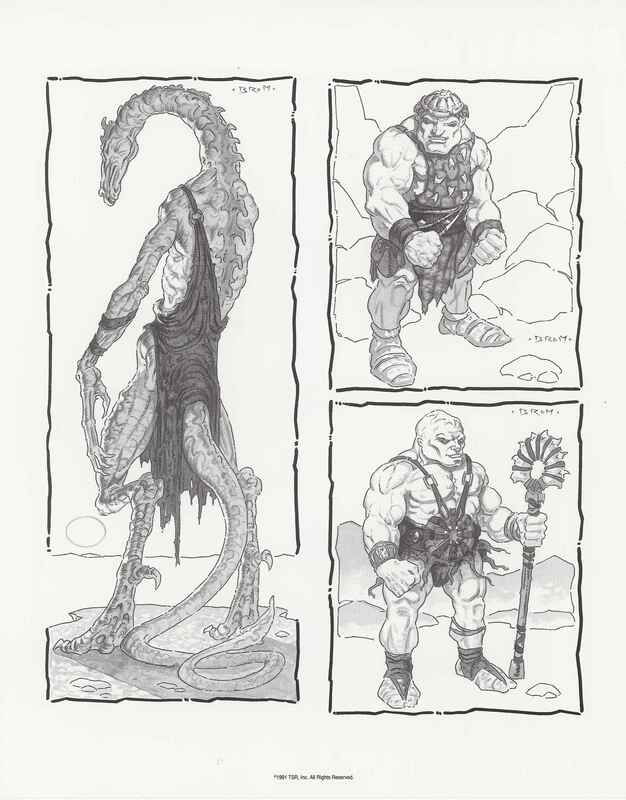 Without further ado, here are the images. 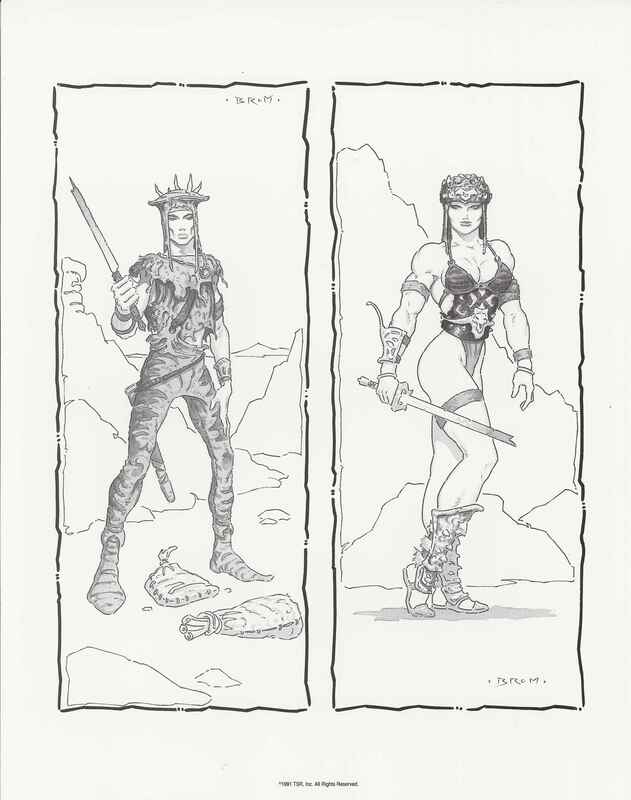 Click the image to see a larger version.